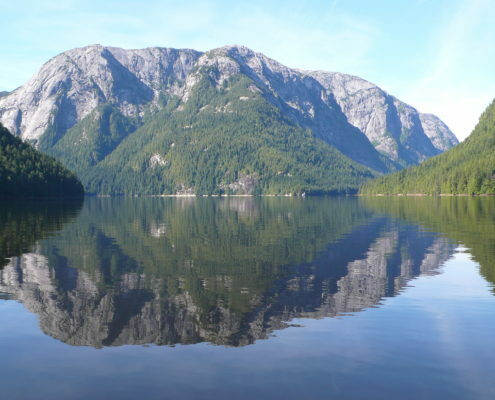 Explore the secluded Northern waters on the Central Coast section of the fabulous Inside Passage meandering through majestic fjords surrounded by spectacular scenery as we seek prized northern Coho Salmon returning to their native rivers and streams. 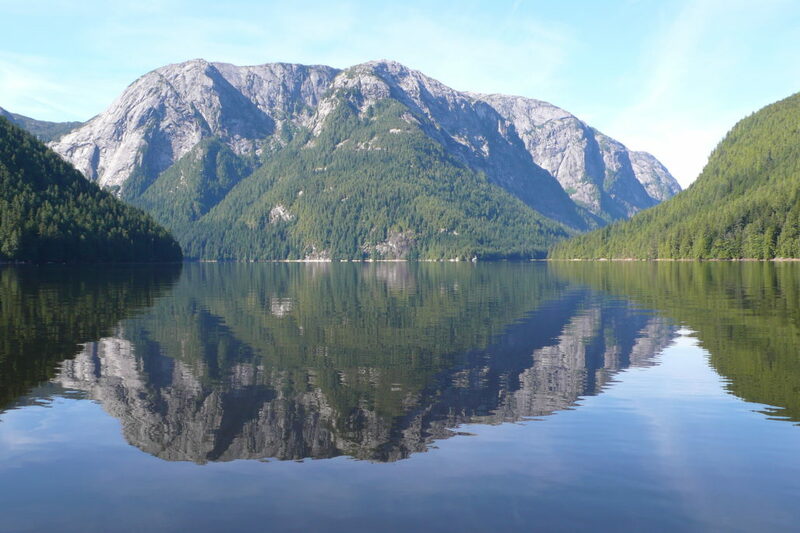 This protected eco-paradise, homeland of the fabled Spirit Bear, wolf, eagle, and grizzly is accessible only by water and air from Bella Bella. Join Pacific Tugboat Adventures and cruise in luxury aboard a restored 1941 Classic Tugboat enjoying fine wines and sumptuous cuisine as we “Follow the Fish” in this fabulous Great Bear Rain Forest and at the same time enjoy encounters with schools of porpoise, orca, humpback, and grey whales as we move daily to stay on the fish. 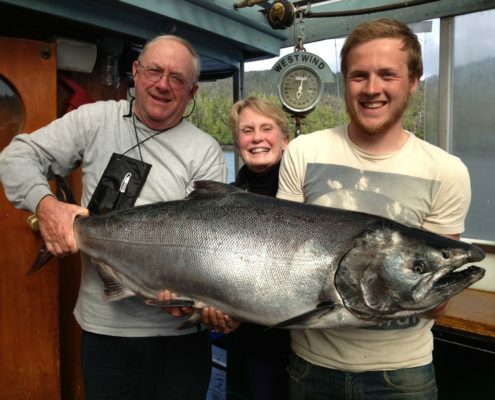 Trophy Chinook salmon are most abundant in late July and early August. Halibut fishing is very productive in this region with many hot spots to test throughout the week. 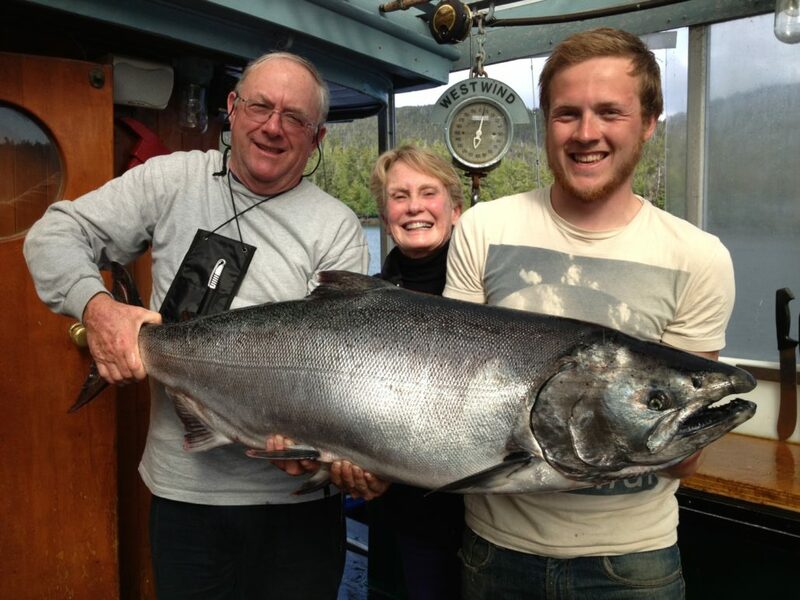 The Coho runs become thick in August with the salmon feeding vigorously and near the surface and averaging 15-18 Lbs. they provide consistent exciting light tackle action. This unique abundance and variety is hard to match anywhere else in BC. The opportunity also exists for some fabulous estuary and salt water fly fishing, where the day’s highlight can be wildlife sightings as they come to the water’s edge in search of salmon. 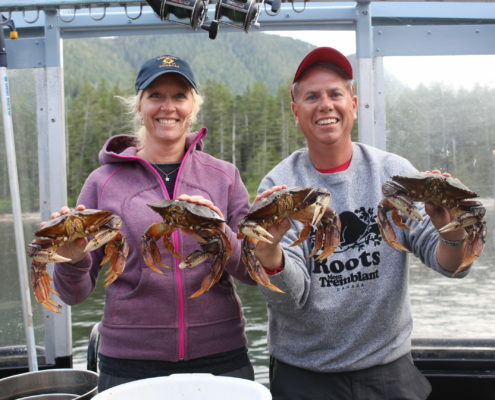 Anglers can take advantage of the calm water channels that allow access to river estuaries and bays teaming with salmon waiting for the right conditions to migrate upstream, try your luck from your custom skiff or go ashore and cast from the river’s edge and at the same time enjoy a beach BBQ including pots full of mouth-watering Dungeness crab. 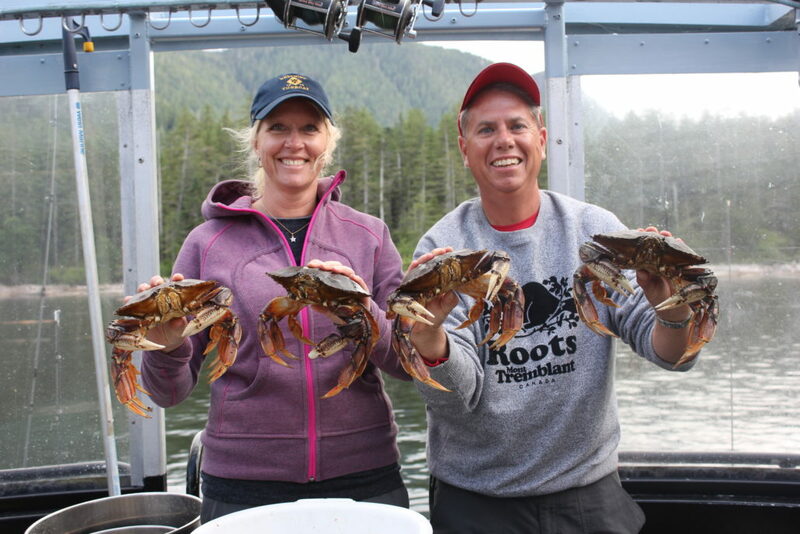 Scenery, good weather, calm waters, sandy beaches, abundant wildlife and spectacular fishing make Bella Bella one of the top adventure locations on the coast; we recommend this area for individuals and families who want the best variety and calm waters.